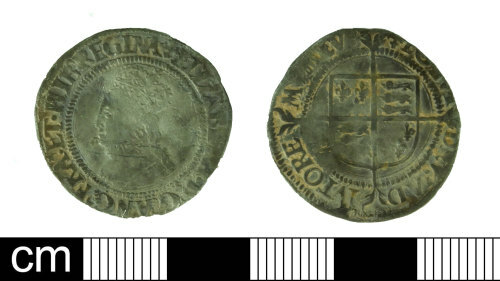 A post medieval silver groat of Elizabeth I (1558-1603), dating to 1560-61. First issue (1558-1561), initial mark of a cross crosslet. North number 1986 (2006: 133). It is 22.75mm in diameter and 0.57mm thick. It weighs 1.89g.